Hanns Ludwig Katz (1892–1940) was born in Karlsruhe, Germany. After leaving school he made a short sojourn in Paris at the atelier of Henri Matisse. 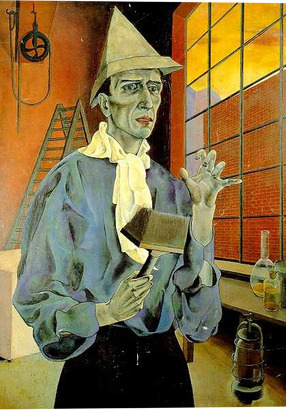 From 1913 to 1918 Katz studied painting, history of art, and architecture in Karlsruhe, Heidelberg, and Munich. He married the pianist Franziska Ehrenreich and they moved to Frankfurt in 1920, after he had published a series of expressionist lithographs entitled Danse macabre which alluded to the revolution in 1919. 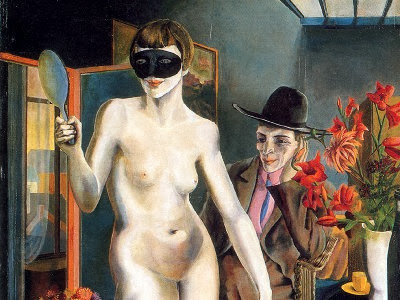 In Frankfurt, Katz became known as a painter of portraits, cityscapes, and still lifes, which revealed the influence of Max Beckmann and the Neue Sachlichkeit. But despite the success and the support of the art critic Max Osborn, he had to become a partner in a whitewashing company in 1923 in order to make a living. After the Nazi takeover in 1933, Katz took an active part in the Frankfurt section of the Jüdischer Kulturbund, (Jewish Cultural Association) and in 1935, one year after his wife died, he planned to establish a semiautonomous Jewish settlement in Yugoslavia. After his endeavors failed he immigrated to South Africa in 1936. 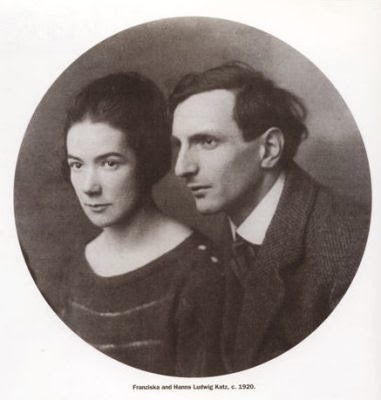 Before leaving Frankfurt, Katz married Ruth Wolf, who followed him into exile. Thus he was able to escape before one of his best expressionist portraits - of the anarchist Gustav Landauer (1919) - was publicly denounced in the Degenerate Art Exhibition in 1938. Despite becoming deeply involved in painting the landscapes of his new homeland, Katz was unable to make headway in the South African art scene. Apart from a small circle of friends, mostly drawn from a similar German-Jewish leftist background, he was intellectually isolated. He earned a living as a house painter and his wife Ruth, a sculptor, supplemented their income by designing record covers. In 1940, Hanns Ludwig Katz died of cancer in Johannesburg. 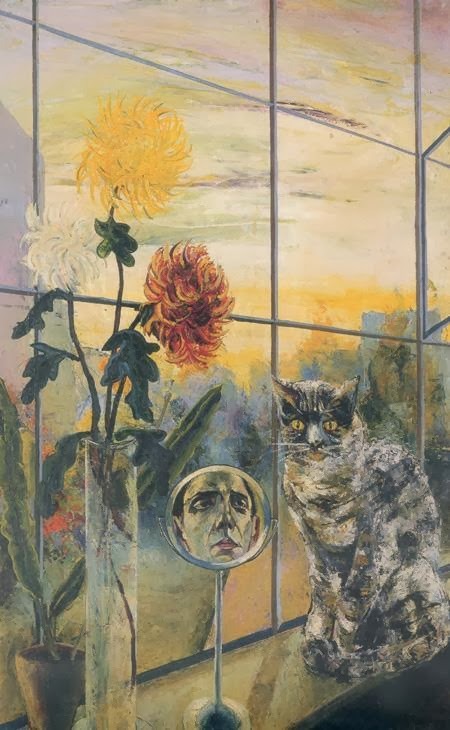 It took a half-century for Katz’s work to resurface in Germany, a crucial link being Hans Wongtschowsky, a fellow refugee, who had come to Johannesburg a few months earlier than Katz and shared a house with him. 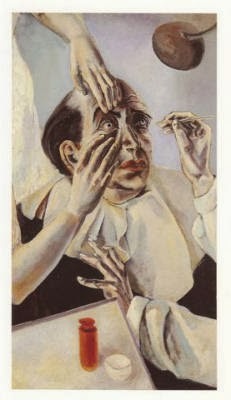 Wongtschowsky sent slides of Katz’s paintings to a relative in Germany, which were brought to the attention of Henri Nannen, whose new foundation had endowed the new Kunsthalle in Emden. Nannen alerted the Jewish Museum in Frankfurt, where a few charcoal drawings of Katz’s were housed, to his paintings. They began intensive research into the work and life of the forgotten artist which culminated in a major retrospective exhibition of his work in 1992, under the auspices of the Jewish Museum in Frankfurt and the Kunsthalle in Emden. In 1994, the exhibition was brought to the South African National Gallery in Cape Town. Posted by Kraftgenie at 5:44 p.m.
Moien January 6, 2012 at 1:37 a.m.
Hello, would you mind showing some more infortmation about Katz's self portraits? Or let me know where you found the images? I am writing an essay for school involving Katz's work and I am having trouble finding information about his works (images, details about specific works etc.) It would really help. Richard Parris April 2, 2014 at 6:28 p.m.
Hello, sorry i am more than two years late. I am the above mentioned Hans Wongtschowski's grandson. I am able to provide a deal of information should you be interested.